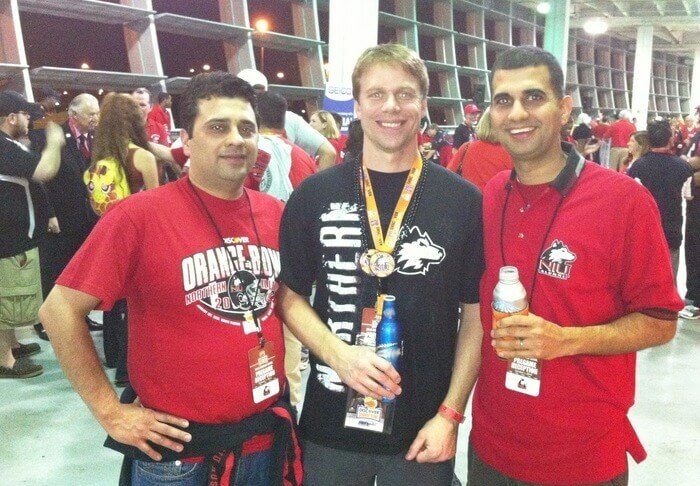 When Vinay Mullick, ’00, thinks of Northern Illinois University, he remembers it as the place where he learned how to study, work with others, become a leader, and handle adversity and failure. Opportunities for involvement include referring a student, participating in a letter-writing campaign for prospective students, welcoming new graduates to the alumni community and hosting interns at a workplace. Alumni are encouraged to sign up for NIU Nexus and explore volunteer opportunities at the web page. The next opportunity for alumni to volunteer is NIU Cares Day, which runs from 9 a.m. until noon Saturday, April 21. Alumni can sign up as project site leaders to supervise students, who help DeKalb area groups and residents by weeding, planting, cleaning, painting and making other improvements. Another way Mullick has contributed as a volunteer is through NIU’s letter-writing campaign to prospective students. The last campaign reached more than 5,000 students. 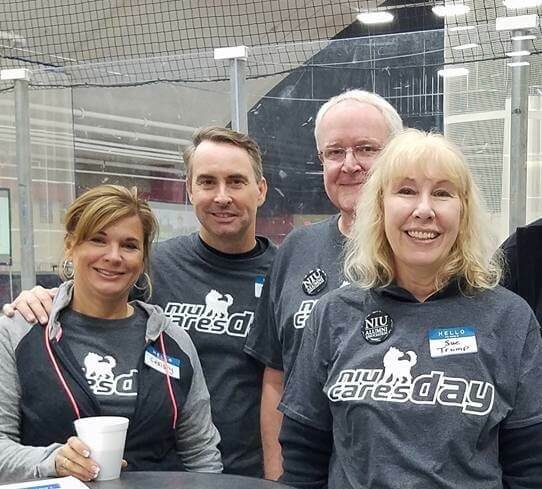 Bob Gallagher, ’91, ’92 M.B.A., president of the NIU Alumni Association Board of Directors, and his wife, Christy Gallagher, ’91, give back as project site leaders at NIU Cares Day to connect with students. He has also helped students as a mentor, an instructor of NIU accountancy classes and a speaker for the Delta Sigma Pi business fraternity. Today, she still finds time outside of her career as a high school Spanish teacher in Aurora to speak to incoming students about her experience as a first-generation college student. For example, she shares how she was almost on probation her first semester at Northern but learned how to study and worked her way up to a 3.80-grade point average. She makes students feel welcome by telling them how to get involved on campus, how to find scholarships and what to expect as a new student. 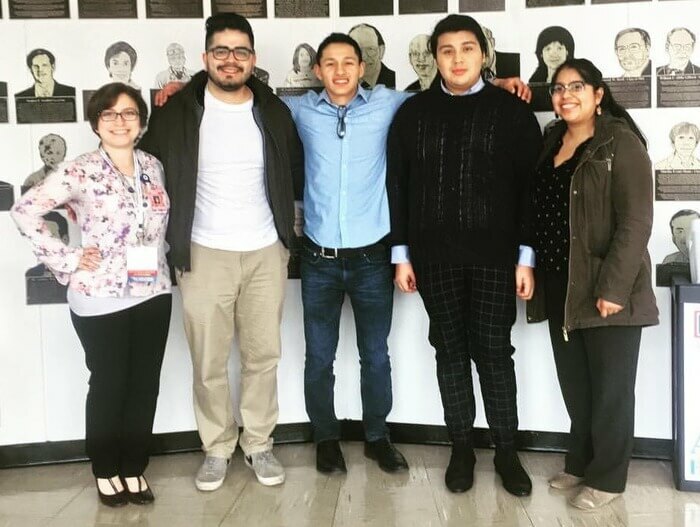 To further her efforts to help students and grow her network, Gonzalez is a member of the NIU Latino Alumni Council, which sponsors workshops, raises funds to support Latino students and connects the Latino alumni community. The council recently held a workshop for students who will be graduating in May to talk about what to expect after graduation. On Sunday, April 15, the council participated in a 5k run/walk in Pilsen, IL, to raise funds for students. Gonzalez also brought high school girls to campus on Saturday, April 7, for NIU’s Women Empowerment Conference, which provides women of color with personal and professional development and teaches them leadership skills.